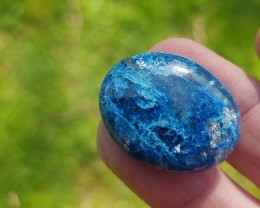 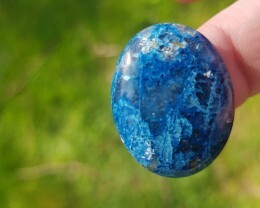 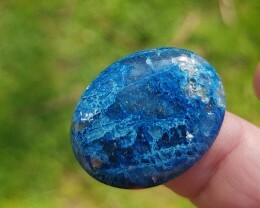 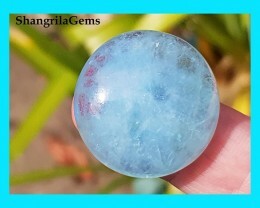 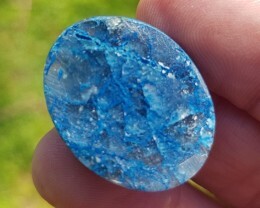 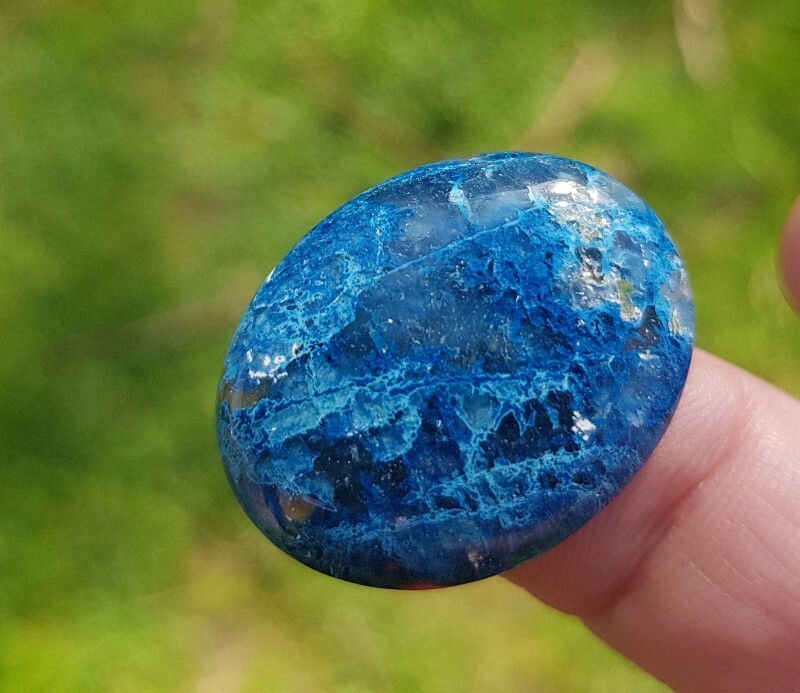 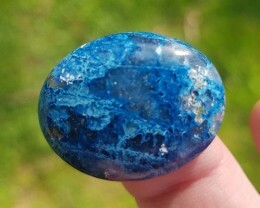 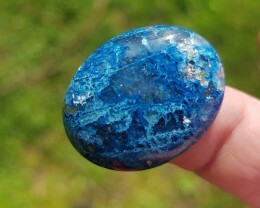 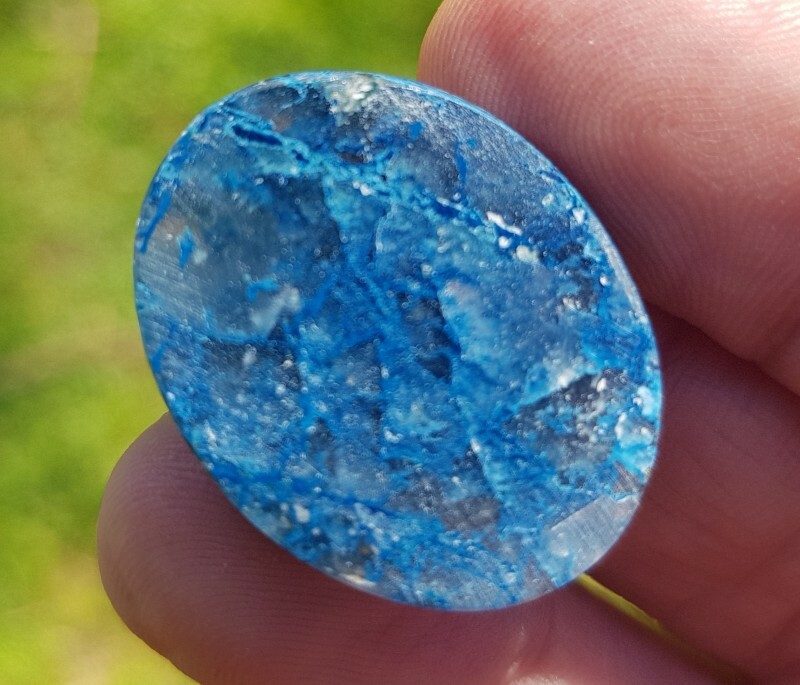 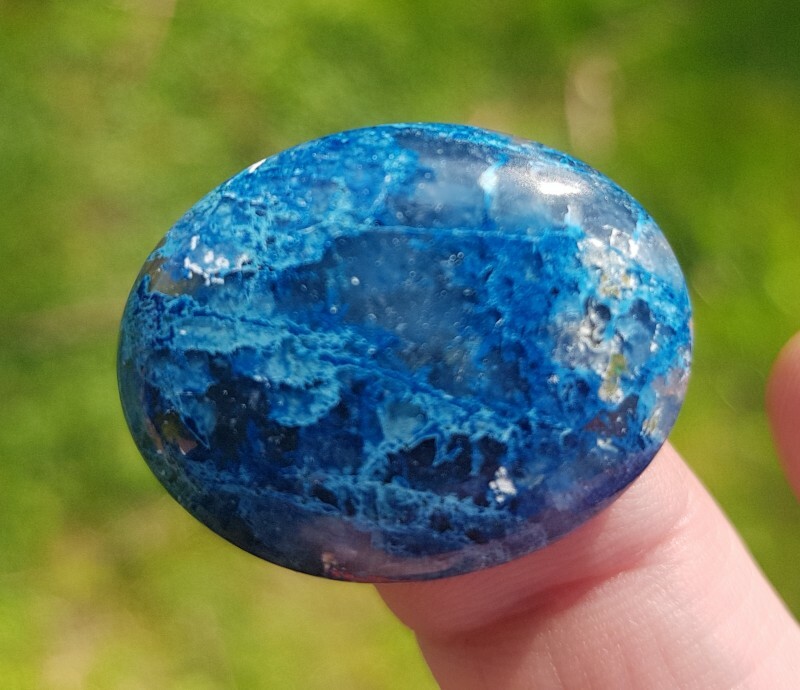 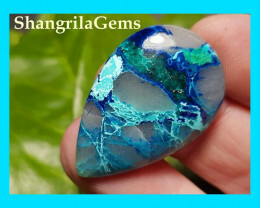 See this gorgeous ‘Arizona Lightning’ cabochon. 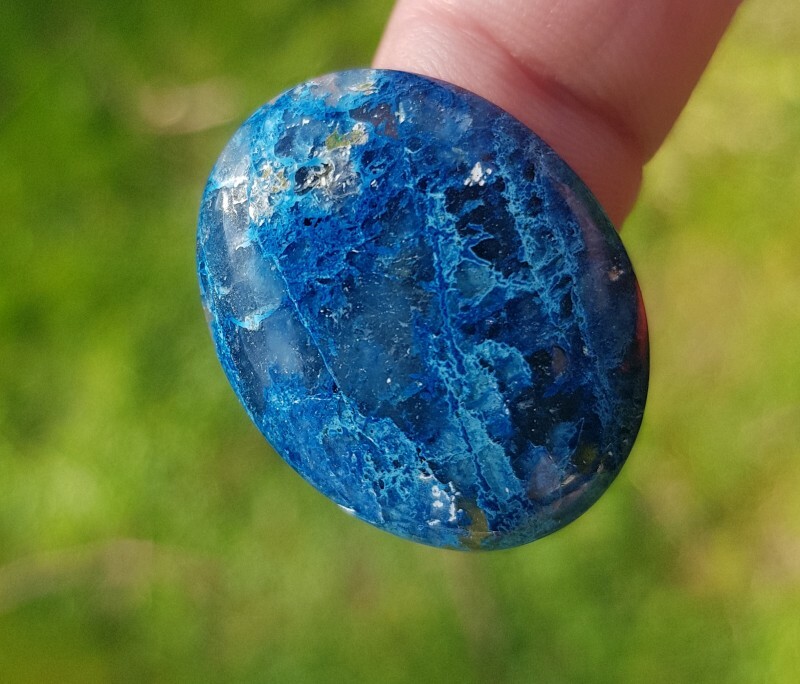 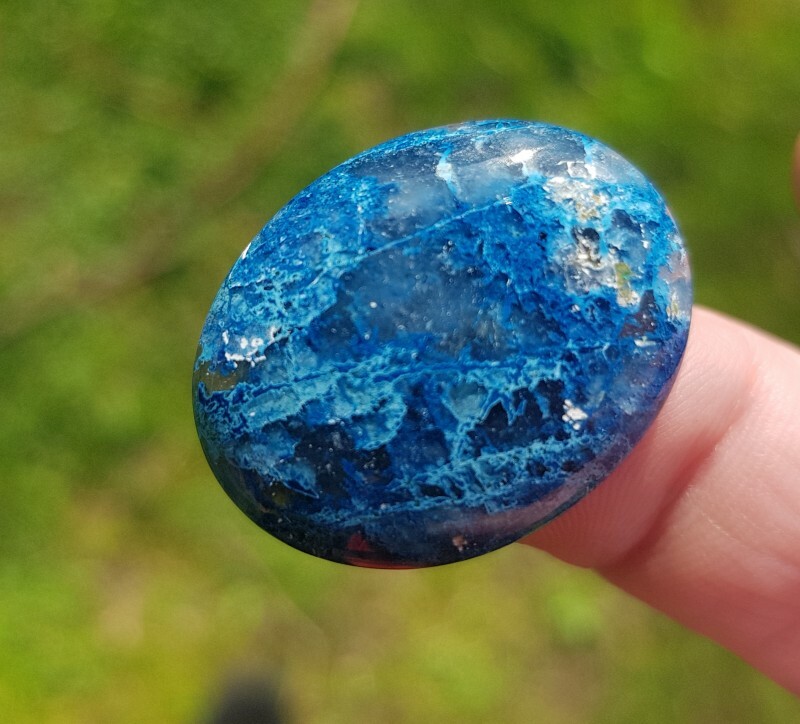 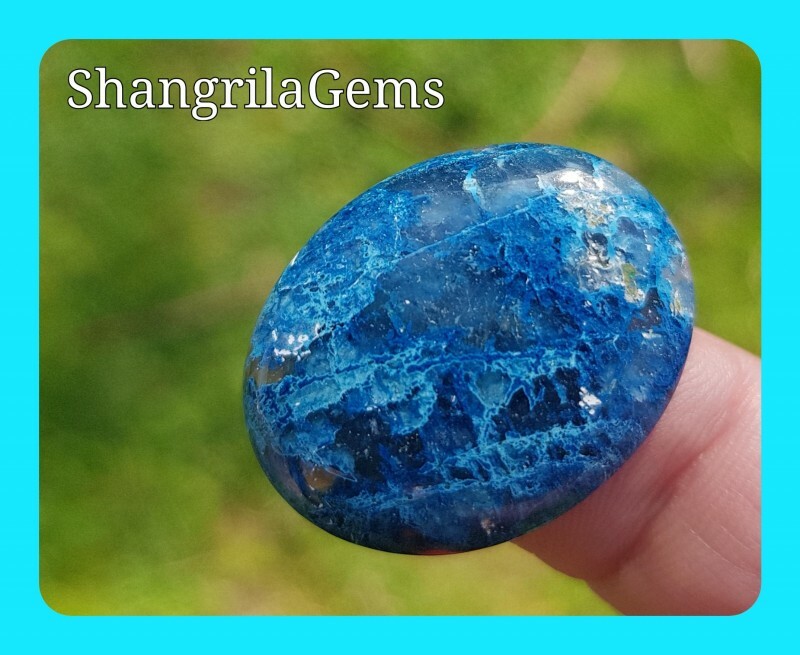 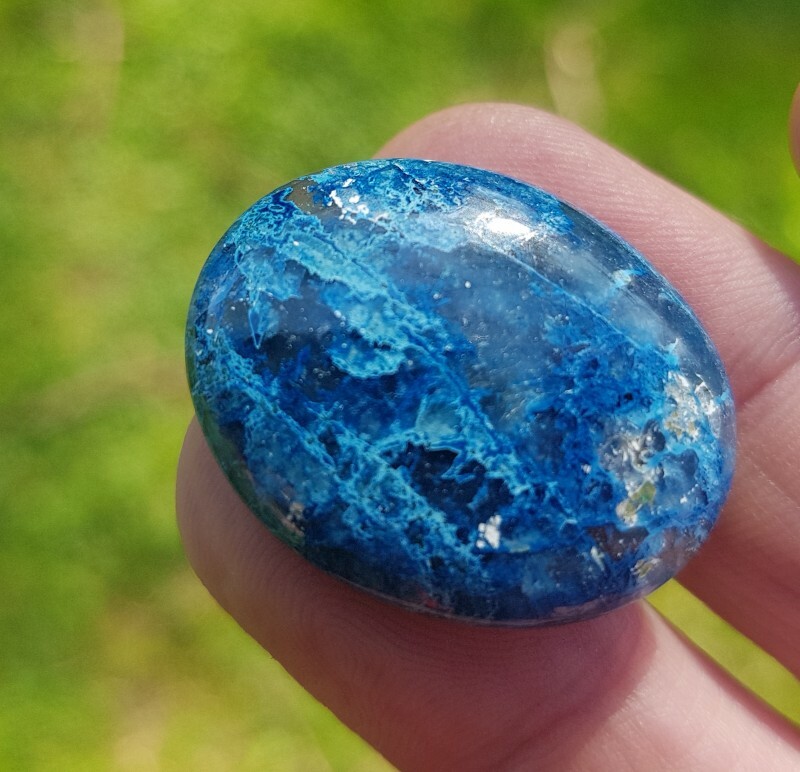 This copper bearing material owes the variety of color to Chrysocolla, Azurite, Shattuckite & Gem Silica all against a white Quartz matrix. 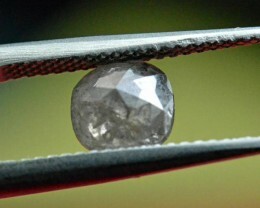 Natural, untreated and organic - of course. 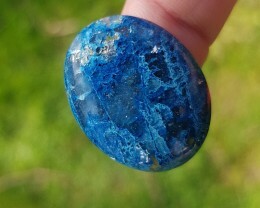 This is splendid natural Arizona material. 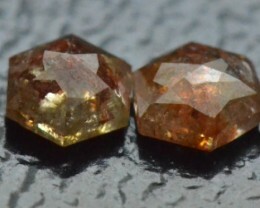 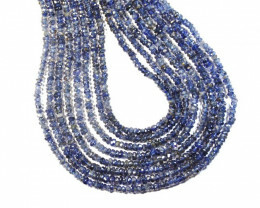 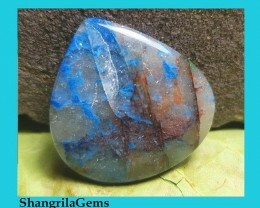 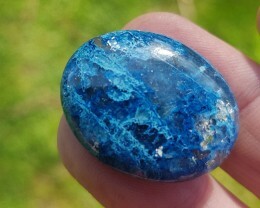 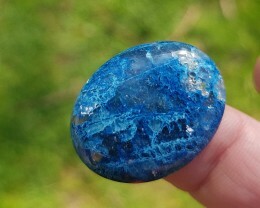 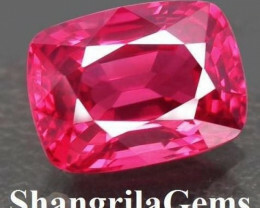 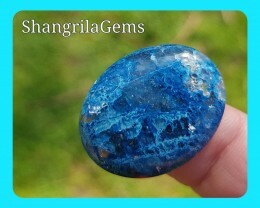 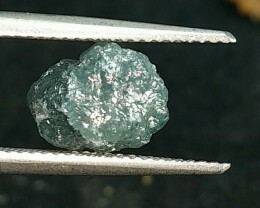 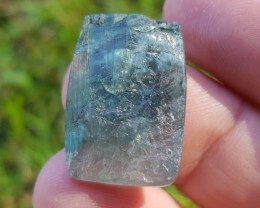 It has been hardened by nature and has a high level of silica resulting in a more durable gemstone. 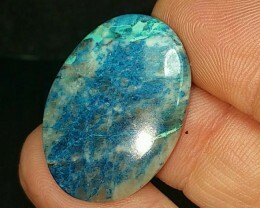 The specific origin is the Tortolita Mountains of Southern Arizona in the good old USA.